Catherine Constable gained her BA (Hons) in Philosophy (part one) and English Literature (part two) from St John’s College, Cambridge. She holds an MA with Distinction in Women’s Studies from the University of York and a PhD in Philosophy from the University of Warwick. She taught in the Film Studies department at Sheffield Hallam University for a decade before moving to Warwick in the Autumn of 2007. Her main research interests include continental philosophy, postmodernism, feminist theory and Hollywood cinema. 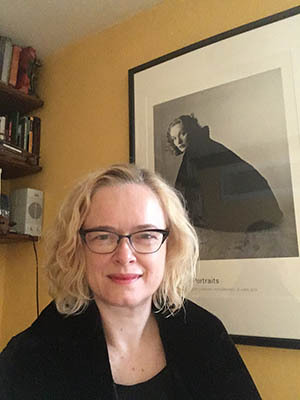 Catherine is also on the editorial boards of Film-Philosophy and the paper journal Science Fiction Film and Television. 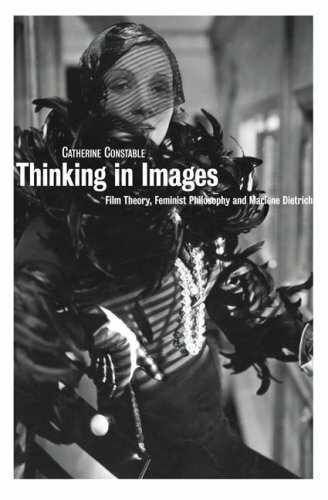 My book Thinking in Images draws together different philosophical constructions of the figure of woman and looks at the ways in which these can be contested and recreated through a close study of films featuring Marlene Dietrich. This interest in creating new methodologies for inter-relating theory and film texts also informs my writing on The Matrix Trilogy, which treats the films as complex adaptations of Jean Baudrillard’s Simulacra and Simulation. I explore the links between postmodern theory and postclassical Hollywood cinema in Postmodernism and Film: Rethinking Hollywood’s Aesthetics. I am currently developing a monograph on gender and the sublime in contemporary science fiction film. Thinking in Images: Film Theory, Feminist Philosophy, and Marlene Dietrich (London: BFI, 2005). 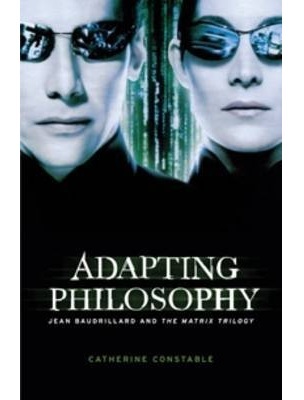 Adapting Philosophy: Jean Baudrillard and The Matrix Trilogy (Manchester: Manchester University Press, 2009). Postmodernism and Film: Rethinking Hollywood’s Aesthetics (London: Wallflower/Columbia University Press, 2015). "Seeing Lucy's Perspective: Returning to Cavell, Wittgenstein and The Awful Truth", The New Review of Film and Television Studies, vol 9, Sept 2011, pp. 329-346. "Theory as Style: Adapting Crash via Baudrillard and Cronenberg" in H. Carel and G. Tuck (Eds) New Takes in Film-Philosophy, (Basingstoke: Palgrave Macmillan, 2011) pp. 135-153. “Baudrillard Reloaded: Interrelating Philosophy and Film via The Matrix Trilogy”, Screen, vol. 47, no. 2, summer 2006, pp. 233-249. “Postmodernism and Film” in Steven Connor (Ed.) The Cambridge Companion to Postmodernism (Cambridge: Cambridge University Press, 2002) pp. 43-61. “Becoming the Monster’s Mother: Morphologies of Identity in the Alien Series” in Annette Kuhn (Ed.) Alien Zone II, (London: Verso, 1999) pp. 173-202. I currently teach the Theories of the Moving Image module to first year students, and a special module on Postmodern Hollywood for final year students. I have previously taught a module on Hollywood cinema to second year students, and convened the MPhil/PhD Methods Reading Group. I have recently supervised to completion PhDs on 'Mind to Screen: Disordered Mental States in Film' and 'Strategies of Narrative and Spectacle in the New 3D Cinema', and am interested in supervising research on postmodernism, adaptation, feminist film theory and Hollywood cinema.